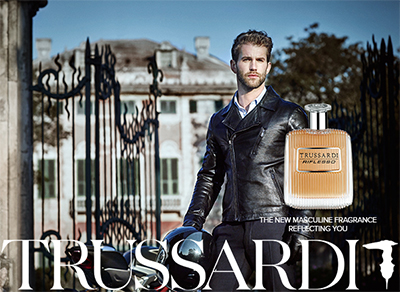 The Trussardi Group was founded in Bergamo in 1911 by Dante Trussardi. At the end of the 1960s Nicola Trussardi entered the Group and began working on the company's entry into the sector of accessories and high-end apparel. In 1973 he created the Greyhound logo, a first in the fashion business, giving life to an innovative and original brand concept. An antique icon associated with elegance, agility and drive, the Greyhound represents Trussardi's style, a dynamic mix of qualities that personify the brand's philosophy: subtlety and sophistication, high quality materials, innovation and modernity.